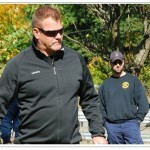 HITS presents leading K-9 instructors with an amazing wealth of experience to share. 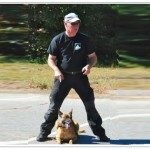 These qualified instructors will present classes on all aspects of K-9 handling. I have been training dogs in the KNPV for over 35 years. I have trialed and certified 15 dogs in the KNPV. In those 35 years, I was an official KNPV decoy, and am now an official KNPV judge. In 2005, I was the KNPV Dutch Champion twice, for both PH II and Object with Beau. I was the Dutch Champion PH II in 2006 also with Beau and Dutch Champion PH I in 2008 with Baron. I have judged 4 times at the Dutch KNPV Championships. And I have judged many trials and competitions in Holland. I have been in law enforcement for over 37 years, and a police K-9 handler/trainer for 29 years. I am currently a trainer for the patrol dogs in East of Holland for the Dutch Police. Our unit has about 90 dogs, and the Netherlands has a total of about 580 patrol dogs. I am also a judge for patrol dogs in the Netherlands. Currently, I am a head Patrol K-9 instructor for over 25 handlers and their dogs. Along with teaching basic patrol dog classes for my agency and others, I have taught at numerous police canine training seminars and conferences throughout North and South America. In addition to training, I am currently working with my 6th patrol dog. I have been involved in hundreds of K-9 apprehensions and use of force incidents during my career. I use my experiences to help other patrol dog teams maximize their success, and help them to work their best on the streets with their police dogs. From Puppy till Searching/Narcotic/Explosive Dog. 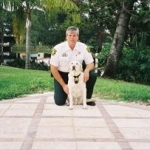 Scott Clark, Owner and Founder of High Drive K-9, has been a Police Officer for the City of Coral Springs Police Department, Broward County, Florida since January 1999. 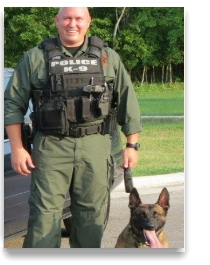 Since 2001, he has been assigned to the K-9 Unit where he currently serves as an active K-9 Handler & Head Trainer. He has been working and training patrol and detection dogs since 2002. 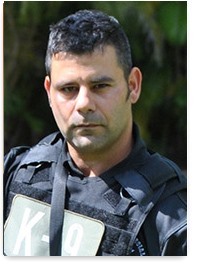 He is a current certified State of Florida FDLE K-9 Team Instructor and FDLE K-9 Team Evaluator. In addition, Scott is the K-9 Unit Head Trainer, Multi-Jurisdictional K-9 Head Trainer, SWAT K-9 Team Leader, Trainer and SWAT K-9 Handler, Firearms Instructor, HK MP5/MP7Instructor, Sig Rifle Instructor, and has trained numerous K-9 Teams in South Florida and Across the Country. 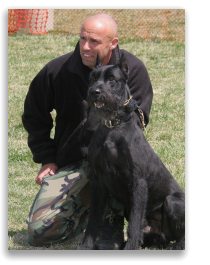 Scott has a vast knowledge in Canine Behavior, Decoy Development, Bite Building, K-9 Tactics, K-9/SWAT Tactics and has countless K-9 & SWAT Deployments. Scott obtained his Bachelor’s Degree (B.A.) majoring in both, Criminal Justice and Psychology, from the University of North Florida. Dr. Cline is the Site Director for Royal Canin Pet Health and Nutrition Center and has 20 years of experience in the pet food industry. Dr. Cline has a PHD in comparative nutrition and has worked in several areas within the pet industry including manufacturing and product development, non-invasive R&D, and technical communications for veterinarians, breeders and working/sporting dog enthusiasts. Her expertise is in vitamin metabolism, skin and coat health and she has a keen interest in human and canine athletes, feeding behaviors and aging animals. She has lectured extensively on the influence nutrition has on a working dog’s cognitive function and the link between dietary requirements and how they affect dogs ability to learn and maximize their performance. Dr. Cline is a self-described healthy lifestyle advocate which she combines with her active engagement with the sporting and working dog training communities because of her keen interest in “dogs with jobs” – she blames her passion on the two very busy sporting dogs and one working dog she has at home. Mike Conner is a Sergeant with the Maryland State Police, Pro-Active Criminal Enforcement Team (PACE). He currently serves as the agency Interdiction expert and Interdiction training coordinator. In addition to his duties associated with interdiction, Mike serves as an associate instructor for the State Police Academy. He teaches Criminal Patrol, First line supervisor course, and Fair Impartial Policing. Mike has over twenty-one years of criminal interdiction experience. He is an original member of the most successful criminal interdiction team in the State Police history. Mike has personally seized or contributed to the seizure of millions of dollars in US Currency, as well as hundreds of pounds of cocaine, marijuana, heroin and ecstasy. Mike is an expert in passenger vehicle concealment, specifically with hidden compartments used by sophisticated Drug Trafficking Organizations (DTO). Mike has provided training to thousands of law enforcement officers across the United States. The techniques taught by Mike have enable law enforcement officers across the country to seized compartments and arrest major criminals. Mike has taught for Federal Agencies like the Northeast Counterdrug Training Center, Multijurisdictional Counterdrug Task Force Training, Middle Atlantic-Great Lakes Organized Crime Law Enforcement Network, National Criminal Enforcement Association, Drug Interdiction Assistance Program, El Paso Intelligence Center and the FBI National Academy. In addition to aforementioned agencies Mike has taught for countless local and state agencies. Ted Daus is an assistant state attorney with the Broward County State Attorney’s Office in Fort Lauderdale, Florida. He has been a prosecutor for the past 23 years, the last 18 of which he has been assigned to the Drug Trafficking Unit for the State Attorney’s Office. Ted graduated from Nova Southeastern School of Law in 1991. He has extensive experience as a lecturer on search and seizure for D.E.A., U.S. Customs, various Florida Police Departments, the Florida Prosecuting Attorneys Association, the Police K-9 Training Institute, Police Canine Consultants and the Canine Development Group. He lectures regularly all across the country to National Canine Organization such as U.S.P.C.A., N.P.C.A. & N.A.P.W.D.A. He is an adjunct professor of law for Nova Southeastern University teaching Trial Advocacy and coaching national mock trial teams. He was until recently, the legal editor and writer for Police K-9 Magazine and lectures every year at their national canine conference “HITS”. He is the current nationwide legal advisor for the National Police Canine Association headquartered in Arizona. Most recently, Ted was counsel of record for both United States Supreme Court K-9 cases, Harris & Jardines, argued before the court on October 31st, 2012. Steve Dean spent 32 years as a police officer in the Metropolitan Police, London, at that time one of the largest police forces in the world with over 30,000 officers and a K9 unit with over 400 dogs. 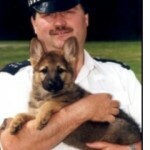 Steve spent 25 years of his police career within the K9 unit both as an operational police dog handler and as a full time police dog trainer at the Metropolitan Police Dog Training School. He is the holder of an advanced Home Office / Association of Chief Police Officers Dog Trainers Certificate and an expert in the identification of Dangerous Dogs and is the author of various police dog training manuals and police K9 related articles and has appeared on various TV programs including the BBC’s Police Dog Academy and Animal Planet. Now retired from the police service, Steve continues his lifelong interest in dogs by breeding & developing working German Shepherds for police & private security services. He is a member of the British Institute of Professional Dog Trainers and a member of The Association of Applied Dog Behavior and Training. 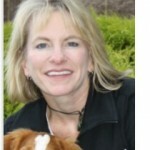 Dr. Lauryn E. DeGreeff has worked in the field of canine detection science for more than 10 years. She began her career studying under the direction of Dr. Kenneth Furton at Florida International University, where she received a Ph.D. in Chemistry with an emphasis in Forensic Science in 2010. Her research focused on the sampling and delivery of human odor, living and deceased, for the purpose of canine detection. Following the completion of her doctorate, she carried out research as a post-doctoral fellow at the Federal Bureau of Investigation, Counterterrorism and Forensic Science Research Unit under the advisement of Dr. Brian Eckenrode. Her research focus was detection and determination of volatiles from human scent and odor and human blood by analytical instrumentation for the development/improvement of canine training aids and training methods. Dr. DeGreeff began her research at the Naval Research laboratory in 2012 with research efforts focused on the characterization of explosives for instrumental and canine detection. She has since developed and patented a canine training tool for training on mixed odors, which has recently been brought to commercial market, and she is currently studying the effects of training on the canines’ ability to generalize or discriminate like odors. 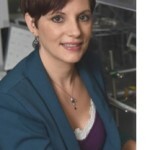 Dr. DeGreeff has published a number of journal articles, has presented her research at numerous national and international conferences, and holds two patents. Mark Flynn began his career in the Military working dog academy in 1984 at Lockland AFB Texas, and served for 11 years as a Military Working Dog Handler, Supervisor and K-9 Trainer. 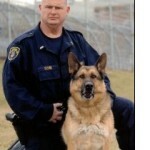 He transitioned to the civilian world in 1995, and became a K-9 Handler for the MD DPSCS K-9 Unit. The MD DPSCS K-9 Unit is a 40-person force of sworn officers that patrol the Maryland Prison systems, grounds, and surrounding areas, interdicting CDS and contraband, providing armed response and Patrol dog assistance to emergencies, and providing tactical response in the event of escapes and inmate uprisings. Mark Flynn served as a prolific handler, front line supervisor, full time trainer and assistant commander over the course of a 22-year career with the MD DPSCS K-9 Unit. He is currently a Maryland police training commission Instructor, and a United States Police Canine Association certified trainer. Major Flynn utilizes his 34 years’ experience in the K-9 field as a dynamic and entertaining instructor, and he frequently teaches at the Police, Correctional and Canine academies in the Maryland and DC metro area. He has also appeared on various TV Programs and news channels, such as Nat-Geo (Big Bigger Biggest Prison addition), Beyond Scared Straight (Hagerstown addition) and numerous news programs. 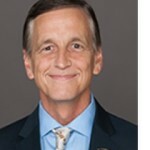 Dr. Kenneth G. Furton is a Professor of Chemistry, Provost, Executive Vice President and COO of Florida International University. He is a leading scholar in forensic chemistry, specializing in canine olfaction. Dr. Furton is the founder of the International Forensic Research Institute and served as the dean of the College of Arts and Sciences for 7 years where he helped raise $50 M in private gifts and dramatically increase grant awards totaling more than $300 M. As Provost he has led the development and implementation of FIU’s bold strategic plan BeyondPossible2020 resulting in significant increases in student success and research preeminence measures. Dr. Furton has over 20 years of canine research experience and developed the IFRI canine certification program, which has evaluated more than 1,000 canine teams. He has chaired the Scientific Working Group on Dog and Orthogonal Detector Guidelines (SWGDOG) since its inception in 2004 and is currently the chair of the Organization for Scientific Area Committees (OSAC) Dogs and Sensor subcommittee and he chairs the Dog and Sensors Consensus Body of the Academy Standards Board. Dr. Furton is the author or co-author of more than 800 publications and presentations, including 15 patents and 2 books. He is a fellow of the American Academy of Forensic Sciences and a fellow of the National Academy of Inventors. He has given hundreds of invited talks nationally and internationally and has testified as an expert witness in dozens of state and federal trials. 15 years of continuous canine operations in Northern Ireland deployed with the British Military Army Dog Unit, during some of the most challenging & hostile times in its history; completing in excess of two thousand recorded operational canine detection tasks, against live explosive devices. Paul completed 6yrs as a working dog adviser in support of the British Government Defense Evaluation and Research Agency (DERA) and more recently worked alongside Auburn University`s Canine Research & Development Program on various US Canine Defense & Research projects. Paul is the current President of VWK9 & Cargo Screening K9 Alliance, and founder of K9Employment.com & the U.S. Canine Biathlon. Bill Heiser oversees all Law Enforcement K9 Sales & Training for ITC Security Partners to include Southern Coast K9 located in Florida and the AMK9 Academy location in Alabama. organizations and has trained and certified with the United States Police Canine Association, National Narcotic Detection Association, United States Customs and Florida Department of Law Enforcement. He as well has trained with the German Customs, German Polizi, Dutch Police during his tenure. Bill started his company, Southern Coast K9 in 1988 while still working as a Sheriff’s Office handler with only two kennels in his back yard. Southern Coast K9 now has 12 full time employees and 85 kennels on 12 manicured acres of land. Bill continues to travel to Europe and hand select all of his dogs personally. He will look at over one hundred dogs and only three to five percent make the cut due to his exacting standard and demand for superior animals. Bill has selected and trained thousands of dogs over the years. His experience in the selection process over all these years giving him the experience and knowledge to present this course on Selection Testing of a Single and Dual Purpose Dog. Scott Klappenback has been with the Orange County Sheriff’s Department in southern California for more than 29 years where he, as a Designated Level 1 Reserve Lieutenant, has worked patrol assignments his entire tenure. For the past 14 years, he has been a K-9 handler with the last 7 years being assigned to the Special Investigations Bureau’s Highway Interdiction Team. During this time, he has worked two certified narcotic detection dogs in patrol. He currently is an instructor for the Orange County Sheriff’s Department’s POST certified Basic Narcotics Investigation Course and teaches the Vehicle Hidden Compartments and K-9 usage segments. He has also taught classes for California Narcotics Officers Association’s (CNOA) Training Institute on drug traffickers, hidden/concealed compartments and narcotic K-9 usage. Scott’s assignment also includes appointment as a Task Force Officer for the Department of Homeland Security. Additionally, he has testified as an expert witness on transportation and sales of narcotics. 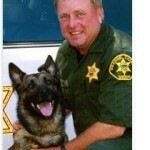 Scott is a member and past Board member of the Orange County Police Canine Association (OCPCA). He obtained his B.A. degree in Social Ecology from the University of California, Irvine. When not working for the Sheriff’s department, Scott works under contract for the United States Navy Marine Mammal Program and is an instructor for the U.S. Navy’s Marine Mammal Handlers Animal Training Certification Course based in San Diego. He has been in the animal training profession for more than 35 years. He is past president of the International Marine Animal Trainer’s Association (IMATA) which represents more than 2,000 professional animal trainers worldwide. I have been training with the KNPV since 1987. Since then, I have trained and trialed approximately 10 dogs in the KNPV. I was an official KNPV decoy and am currently a KNPV judge. In 2004, I was decoy at the National Championships. I judged 3 times on the National Championships and have judged many trials and competitions in Holland. In 2009, I took 2nd place with my malinois, Remco, at the KNPV National Champion ship. I have been a police officer for 33 years. For 28 years I have worked as a K9 handler for the Dutch Police Force. I have worked over 18 years with many patrol dogs and had hundreds of arrests and apprehensions with my K9’s. In Holland, all K9’s are single purpose. There are approximately 580 patrol dogs, and 70 specialized searching dogs. The searching dogs (narcotics, tracking, explosives, money, cadaver, USAR, fire accelerant, blood, etc.) work for the National Forensic Science Police Department, and are used specifically for serious crime scenes. For the last 11 years I have worked as a handler/instructor for the searching dog division of the Dutch Police. Every two years, K9’s in Holland (patrol and searching dog) must trial and re-certify to work the streets. 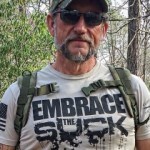 SMSGT, USAF (Ret) Kenneth Licklider, is the Owner/Operator of Vohne Liche Kennels, Inc (VLK), a Service Disabled Veteran owned company headquartered in Denver, Indiana, with additional facilities in California and Holland. VLK is widely known as the premier Private Canine Training Facility and Detection Service Provider in the world and has been providing superior service for the past twenty-four (24) years. SMSGT Licklider has forty (40) years canine experience, including seventeen (17) years serving in the United States Air Force (U.S.A.F.) in the canine career field. SMSGT Licklider served in the U.S.A.F. from 1977-1993 and served in the capacity of Law Enforcement Superintendent, Kennel Master, Police Service Dog Trainer, and as a Police Service Dog Handler. During his military career SMSGT Licklider competed in and won several military K-9 competitions and was as the recipient of numerous service medals. Upon his retirement in 1993, SMSGT Licklider formed VLK. SMSGT Licklider is considered a subject matter expert (SME) and is world renowned for his scent work, which has been copied by Dutch Customs. He has been invited to speak and instruct by agencies throughout the United States and abroad and has traveled around the world teaching his methodologies. He currently has dogs and/or conducted training in forty-nine (49) states and more than thirty-two (32) countries, including Iraq, Afghanistan, UAE, several in Africa and the European Continent, Mexico, South Africa, Ghana, Turkey, El Salvador, Brazil, Ecuador, Honduras, Nicaragua, Columbia, Saudi Arabia, Albania, Croatia, Kosovo, Guatemala, Guam, the Philippine Islands, South Korea, and Israel. SMSGT Licklider has instructed thousands of students and has trained/worked with thousands of dogs in his career. He and his staff train more than five hundred (500) dogs per year. He currently has dogs in service with over five thousand (5,000) Military, Local, State and Federal Law Enforcement Agencies, Corporate Security, and Private Industry clients to include the United States and Foreign Customs and Border Patrol, Department of Homeland Security, the Transportation Security Administration (TSA), the Federal Bureau Of Investigation (FBI), the National Security Agency (NSA), the United States Secret Service (USSS), the United States Pentagon Police, the United States Department of Defense (DoD), the United States Department of State (DoS), the United States Army Special Forces Command, the United States Marine Corp Special Forces Command, the United States Navy Seals, Lackland Military Working Dog School, the Royal Canadian Mounted Police, NASA, CN Railway Police, Los Angeles, Chicago, Illinois State Police, Honolulu, Hawaii, Puerto Rico, San Bernardino, Michigan State Police, Metro Detroit Airport Police (MI), Indianapolis, Oklahoma City, Kansas City, Memphis, St. Louis, Phoenix, several Federal and State prisons, Inter-Con, Boeing, Lockheed Martin, Engility, Triple Canopy, Global Integrated Security, Aegis, DynCorp, Securitas, Battelle, Indiana University-Purdue University Indianapolis (IUPUI) the Peoria Air Show, the Cincinnati Bengals, the Electric Daisy Carnival, and Lollapalooza. As an SME in the military and police service dog world, SMSGT Licklider has been instrumental in the development of copious specialized canine programs, both nationally and internationally, to include the United States Army Combat Tracking Dog (CTD), the United States Tactical Explosive Detection Dog (TEDD), and the United States Special Forces Multi-Purpose Canine (MPC). He has developed course doctrines, programs of instructions (POIs), and System Training Plans (STRAPS) for several military canine programs and has served as a SME on several research and development canine detection studies. SMSGT Licklider has designed and manufactures a line of towable canine transportation units/trailers. The VLK unit, through thoughtful design and masterful engineering has virtually outdated and made obsolete all of the current K-9 trailer and dog transport vehicles currently on the market. Not only does the VLK design resolve the deficiencies of other units, it sets a new standard for dog transport. VLK’s largest client of their towable transportation units is the United States Military. SMSGT Licklider and his staff can be reached at the corporate headquarters located in Denver, Indiana at 765-985-2274, via email at Kenneth@vohneliche.com, via their website atwww.vohneliche.com, and via Facebook at Vohne Liche Kennels, Vlk West, and VLK Europe b.v.
Sgt. Jerry McClellan is a Veteran of the United States Marine Corps and a current Patrol K9 Handler and Trainer in Massachusetts. Jerry joined the his agency in 2000, since that time he has served as a member of the Police Academy Staff as well as a member of the SWAT Team. Jerry is a certified firearms instructor for the State of Massachusetts. In 2014 Jerry was promoted to Sergeant and assigned as the supervisor of the department’s K9 Unit. He holds a bachelor’s degree in Criminal Justice from Curry College and a Masters in Public Administration with a focus in Homeland Security from Anna Maria College. Jerry has worked overseas as a Private Military Contractor training explosive detection K9 teams. Ryan has been a police officer for 20 years, as well as a Bomb Squad Commander/Bomb Technician during most of his career. Ryan is also the owner of Tripwire Operations Group located in Gettysburg, PA. Tripwire is federally licensed as a HAZMAT Carrier, Importer, Exporter, Dealer and Manufacturer of Explosive Materials as well as a Federal Firearms Dealer (Class 3 SOT and Type 10). Tripwire provides some of the country’s premier training courses for military and first responder personnel in addition to the explosive and firearm sales. Sergeant Aaron Peterman began his law enforcement career in 1997 at the Polk County (FL) Sheriff’s Office. He held assignments in Patrol, the Tactical Drug and Narcotics Units before his employment at the Lakeland (FL) Police Department in 2000. At the Lakeland Police Department Sergeant Peterman was assigned to the Neighborhood Liaison Unit, SWAT, Street Crimes and Narcotics Units before transferring to the K-9 Unit 2006. Sergeant Peterman worked 3 dual purpose dogs before being promoted to the rank of Sergeant in 2013. He currently is the supervisor of Lakeland’s 8 dog unit and a handler of a patrol/explosives K-9. Sergeant Peterman is a Florida Department of Law Enforcement (FDLE) certified K-9 Trainer and Team Evaluator, as well as an FDLE certified General, Driving, and Firearms Instructor. 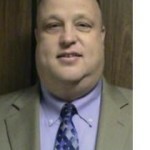 He currently instructs for HITS, Polk State College, IPTM, and SKIDDS. Sergeant Peterman is the United States Police Canine Association (USPCA) Region 1 President (encompassing Florida), and a USPCA regional patrol dog and detection judge. Mike Ritland joined the U.S. Navy in 1996 and served for 12 years as a U.S. Navy SEAL. After his service, Mike served as a Naval Special Warfare (SEAL) Multi-purpose canine trainer, and founded Trikos International. Trikos specializes in providing training consultation, working K9’s to police departments, Federal LEO and government agencies. • Police Departments across the U.S.
Mike Ritland also founded the Warrior Dog Foundation, a non-profit special operations K9 retirement foundation. The WDF provides a home for all working K9’s to receive nothing but he best mental and physical rehabilitation. All this experience prompted Mike Ritland to write three New York Times Best Selling books: Trident K9 Warriors, Navy SEAL Dogs, and TEAM Dog. Most recently, Mike created the MikeRitland.com Team Dog Online Training website launched. This platform provides online dog training to dog owners across the world. Current community members range from first time puppy owners to well established dog trainers, as there is something for everyone, and Ritland personally interacts with members on the site and answers their questions. Mike Ritland currently resides in Dallas, Texas and dedicates his time daily to working with his K9s at Trikos International and the Warrior Dog Foundation. Jeff Schettler is a retired police K9 handler who worked for the City of Alameda and County of Amador in California and was attached to the FBI’s Hostage Rescue Teams’ K9 Assistance Program for two years. This program was designed to locate and apprehend high-risk fugitives on the run. As an international K9 trainer, he spends 12 weeks a year training throughout Europe, South America, and Asia. Jeff wrote the book on tactical tracking and his program is currently used by specialized American military groups. He is a certified military trainer graduating from the prestigious US Army’s Leadership Academy also known as Drill Sergeant School. Jeff has worked hundreds of trailing cases across the USA and is a specialist in the areas of tactical tracking applications. 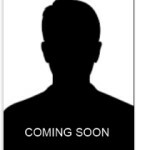 He is considered an expert witness in tracking/ trailing. Track hard, track safe.! Learn how to use the proximity alert to your advantage and build the tactical team around the tracking dog. Cavete Lupus! Tracking in a urban environment is the most challenging deployment for the patrol K9. Jeff’ urban tracking system is successfully used by K9 handlers throughout the world. Brad Smith retired from the West Covina Police Department in southern California in June 2010 after 30 years of service. 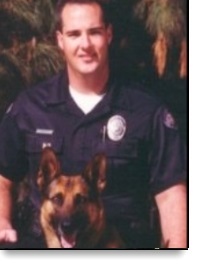 Brad was a K9 handler and trainer for West Covina for 25 years and a SWAT dog handler for 18 years. Since 1999 Brad has been National K9 Chairman for N.T.O.A. and a K9 Subject Matter Expert for the California Association of Tactical Officers. Brad specializes in field tactics and officer safety. 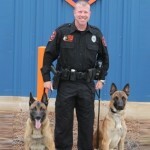 Brad designed and implemented a K9 SWAT & K9 Patrol Tactical School called S.K.I.D.D.S. and CATS www.skidds.com. 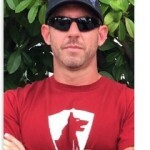 Brad is also owner of Canine Tactical Operations and Consulting www.K9TacOps.com and the author of the book “K9 Tactical Operations for Patrol and SWAT.” Brad has published over 80 articles for a wide variety of publications on K9 Swat Deployment and training. Brad can be reached at Topdogwck1@aol.com or 626-523-4028. Know the answers to the questions before their asked. Armin is a native of Germany who has spent the majority of his life working dogs in the civilian and law enforcement fields since the mid 1970s. He has operated his own K9 security business in Canada. 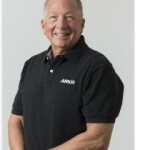 Armin is a published author who has written and published K9 training articles all over the world. Armin operates Rivanna K9 Services in Virginia where he provides training services as an Applied Animal Behavioral Scientist to his clients. He is a certified law enforcement instructor through the Justice Institute of British Columbia and the Virginia Department of Criminal Justice Services. Armin provides in depth training programs to SOF military K9 units as well as LE agencies. He has advised and consulted with All US Tier 1 SOF units. As well as many SOF units across the globe. Armin is instructing at the 2018 SOF K9 Conference in Warsaw, Poland. 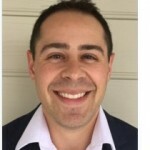 Mr. Elie Zussman is an Explosives Chemist at Signature Science, LLC, where he instructs site exploitation of suspect rogue homemade explosives production facilities. He has expertise in the preparation and properties of homemade explosives (HME) and experience testing field portable sensors and detectors for explosives, small scale sensitivity testing, and larger scale detonations. Mr. Zussman received his Master of Forensic Sciences (MFS) from The George Washington University in Washington, DC. Prior to joining Signature Science, Mr. Zussman was a Visiting Scientist at the Federal Bureau of Investigation’s Counterterrorism and Forensic Science Research Unit. He helped characterize a novel forensic trace air sampler in support of evidentiary gaps in search and rescue canine investigations. Dr. Marcella Ridgway has been a practicing veterinarian for 36 years and is a board-certified specialist in Small Animal Internal Medicine with areas of special interest in infectious diseases and canine occupational health. Currently, she holds the position of Clinical Professor in Small Animal Internal Medicine and service head of the Small Animal Internal Medicine Service at the University of Illinois College of Veterinary Medicine, where she provides specialty veterinary care for dogs and cats in the Veterinary Teaching Hospital; clinical and didactic training in Internal Medicine for residents, interns and veterinary students; and continuing education for other veterinarians. In teaching veterinary students and in her continuing education presentations, she is working to develop veterinarians who have a better understanding of the roles fulfilled by working and performance dogs and thus are better prepared to provide exceptional medical care optimized for the individual dog and the particular demands of the dog’s job. She also provides instruction in K9 field first-aid for law enforcement and SAR K9 handlers. In addition to her professional endeavors, she is a SAR K9 handler (trailing) and competition obedience handler and instructor. Mark Joined the Virginia Department of Corrections in 1996 and served 3 years inside a facility near Roanoke, Virginia. In those 3 years, Mark was a Field Training Officer, and graduated Strike Force Class (PERT Team). In 1999, Mark graduated from his first Passive Narcotic Canine School. Over the next 9 years, Mark, along with his Partner, K-9 Davy, proudly served the Western Region of Virginia. After K-9 Davy’s retirement in 2008, Mark attended and graduated from his second detection school along with his new Partner, K-9 Julia. In 2011, Mark became a certified detection canine Instructor and assumed the responsibility of teaching state-wide monthly detection classes, while continuing his fieldwork with his Partner, K-9 Julia. In 2014, Mark and K-9 Julia were promoted to Sergeant, which required him and his wife to relocate to Richmond, Virginia. Mark continued working the Central Region with K-9 Julia while serving the Canine Unit in the role of Detection Training Sergeant. K-9 Julia honorably and notably served the Commonwealth for 8 years until her retirement in 2016. In 2016, Mark became the Department’s Canine Training and Development Coordinator. Mark continues in this role today where he oversees all Canine Training for the Department and is the Lead Detection Canine Instructor. Joined the Virginia Department of Corrections in 1994 and worked 4 years inside Keen Mountain Correctional Center in Oakwood Va. In 1998, William graduated his first Basic Patrol Canine School with K-9 Ninja. Working K-9 Ninja to respond to emergencies inside the facility and when needed at other institutions. In 1999, (K-9 Ninja died) William attended his second Basic Patrol Canine School with K-9 Zion. Over the next 8 years worked K-9 Zion inside the facility, responded to facilities across Virginia for emergency situations. In 2007, Promoted to Patrol K-9 Sergeant at Keen Mountain Correctional Center, Received Basic Patrol Canine Instructor Certification and DCJS General Instructor Certification. (K-9 Zion retired) William attended his third Basic Patrol Canine School with K-9 Izara, over the next 4 years worked numerous situations at different institutions. In 2008, William graduated TSU (Tactical Support Unit) Class. In 2011, William graduated his 4th Basic Patrol Canine Class with K-9 Blitz, numerous utilizations for 5 years. 2007-2016 Instructed 14 Basic Patrol Canine Schools. In 2016, Promoted to Statewide Canine Coordinator. Oversee interactive canine physical therapy program with volunteer K9 teams. Train and advise and assist K9 teams with patient activities to facilitate recovery at the Rehabilitation Institute of Chicago/Shirley Ryan Ability Labs. Train, maintain and operationally prepare explosive and narcotic K9 detection teams for Amtrak Police Department nationwide. Provided recommendations, oversight and consulting for the development of best practices for world-wide use for detector dogs. Services and various state and local agencies. teams to South Africa, Iraq, Afghanistan and Jordan. DHS/CBP anti-terrorism inspections and special enforcement operations. Detection work included explosive, narcotic, human, agricultural and chemical. canine detection skills, training and application to the US Attorney’s office. across a variety of environments (airports, railroads, border crossings, etc). solving and expansion of training environments to improve effectiveness. Received multiple awards for narcotics seizures. region (AZ, WY, CO and UT) for number of narcotics seizures and arrests made. Commendation for currency and drug seizure. Patrol/Drug Enforcement Administration in the Criminal Interdiction Program. trainer. Developed and implemented a complete Police Dog Training Program. investigations. Qualified and served as a member of the Special Weapons Team. Received several awards and letters of commendation. problem-solving techniques and complex training. development project on dogs detecting currency and firearms. Protection Canine Breeding Program and Kennel Design project. award for work done on the breeding program and canine procurement. canine training center in Leland, IL and my management work in the U.S.
Iraq, several contracts for training and international demonstrations. San Luis, Lukeville and Nogales Ports of Entry. issues and the breeding program. Federal Law Enforcement Training Center. canine assistance with correctional contraband sweeps. 1998: received a Letter of Appreciation from the Commissioner, U.S.
the U.S. Drug Czar W. MaCaffrey. Government Reinvention and Process Improvement. Improvement Instruction to the Customs Management Centers. on the Canine Procurement Process Improvement Team. District Director for Exceptional Enforcement Skills and Effort with my U.S.
search and seizure of 100 pounds of marijuana. marijuana and $3,000.00 in currency. search and seizure of 19 pounds of marijuana. Colorado for service and competition with my police canine Ranger. 1987: 2 year Safe Driving Award, La Junta Police Department. two drowning victims in a lake with my police canine Ranger. 1986: 1 year Safe Driving Award Letter, La Junta Police Department. Department for excellent performance in canine competition. numerous canine demonstrations and service to the community. of America sponsored trial with handler owned trained (HOT) dog Chico. National Team from Region 14 Colorado. Teams and again received a Certificate of Excellence. criminal apprehension, 5th place agility. apprehending two burglars in a large bakery warehouse. ranking given) and 3rd place overall scent work. apprehension and I received a Certificate of Excellence. compete for family reasons) also received a Certificate of Excellence. 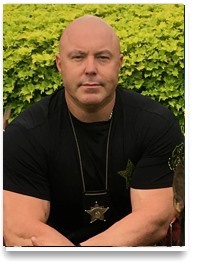 Justin Rigney has over 25 years of professional dog training experience and was a Law Enforcement Officer for 17 years, 10 of which he spent as a K-9 handler and trainer. His unique background and experience in civilian dog training as well as Police service dog training sets him a part from other trainers in his field. Justin’s passion for dog training is evident as he has assisted thousands of pet dog owners in enhancing their relationship with their dogs, bridging the gap of communication with their beloved four legged family members. Justin utilizes a proven, reliable, humane and clear, real world training system, which produces results and a dog who knows its job and loves its job. During his Law Enforcement career, Justin was fortunate enough to have been able to work three patrol dogs. Justin is a former member of the Davie Police Department and their K‐9 unit where he was a handler for K‐9 “Vader”, a Belgian Malinois who was produced from his own breeding program. Going from watching Vader take his vey first breath in life, to becoming a productive K-9 partner was extremely rewarding. K-9 “Bosko”, an all black GSD (German Shepherd Dog) was responsible for hundreds of arrests and apprehensions of violent felony offenders and has been instrumental in the recovery of numerous articles of valuable evidence. Post retirement, Bosko obtained his Brevet in French Ring sport. His last patrol dog K‐9 “Zeke” is a sable GSD who has been raised from a puppy by Justin and his wife Alison. Zeke was a proven, JUSTIN RIGNEY vigilant and tenacious police service dog during his career. Most notably defending his handler during a deadly force encounter and officer involved shooting. Zeke will continue to work and compete in civilian dog sport. Justin was a Corporal and trainer for the Palm Beach County Sheriff’s Office, which had 60 dogs department wide. During his professional dog training career he has trained with hundreds of Police K‐9 teams, competed in Schutzhund, Ring Sport and other dog sports. He has also trained dogs for celebrities, professional athletes and thousands of pet dog owners. Justin graduated and has been awarded a diploma in the NePoPo Gold training system, the modern language of dog training by Bart Bellon. Justin was formerly the President of the Florida Law Enforcement Canine Association (www.flecak9.com) and was one of the founding members. He was also a judge and instructor for FLECA. Justin has also been retained in civil litigation as an expert witness in K‐9 training, use of force and deployment. He has had the opportunity to certify and train hundreds of Police K‐9 teams. Justin continually pursues further knowledge of dog training in many different applications by training with some of the top canine trainers in the world. Joe Oberding retired from the Henderson Police Department in 2019 with 24 years of law enforcement service and experience. He has been a Police K9 Decoy since 1997, a Police K9 Handler of Patrol, SWAT, and Detection based police service dogs from 2003 to 2015, and he was the Head Trainer of the department’s 10-dog K9 Unit from 2007 to 2015. Finally, Joe spent the last 2½ years of his career operating as a full-time Tactical Flight Officer (TFO) for Las Vegas Metro’s Air Support Section. Joe Oberding is a 2-time Medal of Valor recipient, and he was also recognized as Officer of the Year on two separate occasions (2009 and 2012), with each award citing his work and efforts within the Police K9 community as a predominant reason for the recognitions. He was also awarded a Certificate of Appreciation from VFW National in 2013 for Law Enforcement Services. Joe has been a Police K9 Trial Judge since 2009, and a Certifying Official with CNCA since 2010. The “Trinity” of Suspect Apprehension… Patrol, Air Support and K9! Lieutenant Gary Knutson is a twenty four-year veteran of the Orange County Sheriff’s Department in California and is currently assigned to the Custody Operations Division. During his career he spent over eleven years as a dual-purpose K9 handler assigned to Patrol Operations, where he trained and deployed three police service dogs. After promoting to Sergeant, he supervised the Custody Canine Unit for two years and the Patrol Canine Unit for three years. Jeff Meyer has been a Denver police officer since 1989. Since his first days in the academy Jeff wanted to be a dog handler. After spending several years training with the unit Jeff was assigned to the unit as a patrol dog handler in 1996. Since his first dog, Jeff has worked several other dogs successfully on the street. Including single purpose patrol dogs, a dual purpose Patrol/narc dog and currently a single purpose bomb dog. Jeff is active in training bomb, patrol and narcotics dogs for his department. 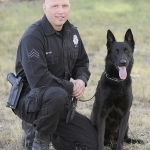 Jeff has been involved in the Utah Post Police Service dog program his entire K-9 career. Over the years Jeff has earned certificates as Handler, Instructor and Judge for patrol, narcotics and explosive detection k-9s. In 2018 Jeff was named as a Teaching Judge for the program, one of only 6 in the country. Jeff is active in all things K-9. In 2005 he started Police K-9 Magazine and was the publisher until he sold the title in 2014. Jeff is a founding partner in HITS (Handler Instructions & Training Seminars) and has taught seminars for hundreds of handlers all over the U.S. Constantly learning new techniques, Jeff’s training evolves as he realizes that science can help us tweak our training but that gimmicks will only come and go along with the fly by night trainers who pedal them. 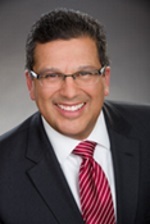 Eugene P. Ramirez, a founding member of the firm, graduated from Whittier College School of Law (J.D., 1987), where he was Notes & Comments Editor of the Law Review, a member of the Moot Court Honors Board and President of the Student Bar Association. At Whittier, he received an award as the Best Oral Advocate and the Outstanding Moot Court Graduate Award. He received his undergraduate degree in Political Science from California State University, Long Beach (B.A., 1983), where he minored in both Criminal Justice and Public Policy. Before joining the firm, Mr. Ramirez worked as a Deputy District Attorney for the Los Angeles County District Attorney’s Office, where he conducted numerous misdemeanor and felony jury trials, including murder trials. He has also worked as a reserve police officer for the Whittier Police Department and the Monterey Park Police Department. He serves as an advisor to several public entities on the issues of use of force, canine and SWAT issues and policies and procedures. He has provided training to thousands of police officers and supervisors, from around the country and Canada, over the past 20 years. Mr. Ramirez regularly speaks to Chiefs of Police Organizations on liability and supervision issues. He also addresses supervisors of all ranks on how to recognize risk management issues. Mr. Ramirez is an instructor on liability issues for the Los Angeles County Sheriff’s Department’s Basic SWAT School. 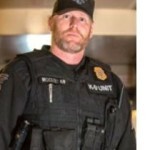 He is also an instructor for the California Association of Tactical Officers (CATO) and for the National Tactical Officers’ Association (NTOA). He was a member of the State Attorney General’s Blue Ribbon SWAT Committee and he was a member of POST’s Executive Advisory Committee for SWAT Teams. He was a member of the LAPD Board of Inquiry, which examined LAPD SWAT operations. He is an approved California POST instructor. Mr. Ramirez was profiled in the April 2003, California Lawyer Magazine, for his work in defending law enforcement. He was honored with the 2004 Lifetime Achievement Award from the Association of Los Angeles Deputy Sheriffs (ALADS). He has been named as a 2005-2011, 2014-2018 Super Lawyer for Southern California. He was also named to the distinguished American Board of Trial Advocates (ABOTA), in 2005, an award only bestowed upon proven trial attorneys. Mr. Ramirez is also a Fellow in the Litigation Counsel of America. He was selected as the Los Angeles County Sheriff’s Department’s Trial Lawyer of the Year in 1993 and, 2006, by two different Sheriffs. He was selected as the 2009 Alumni Attorney of the Year for Whittier School of Law. He has been selected twice as one of the Top 25 Municipal Attorneys in California by the Daily Journal. Mr. Ramirez has been awarded Certificates of Appreciation from the United States Army Special Operations Command (Fort Bragg, North Carolina) and from the United States Secret Service. 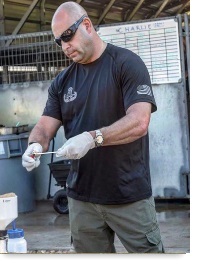 With more than 31 years of police experience involving various assignments in specialty drug investigation unit in south Florida, Detective Weiman has become a leading expert in the field. With 25 years of K9 experience since training his first drug dog with Canadian Customs, Andy has gone on to oversee the training of a variety of detector dogs to include teams that can find drugs, currency cell phones, tobacco and firearms. 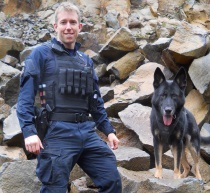 Andy’s education and experience with police dog training has steered his career path into developing an industry leading recordkeeping software program called PackTrack. His depth of knowledge and understanding of state and federal laws regarding search and seizure has been an enormous asset to hundreds of K-9 handlers who attend his K-9 training courses. Andy’s ability to teach detection canines was refined through over a decade of training for MCTFT Multi-Jurisdictional Counter Drug Task Force Training Center. 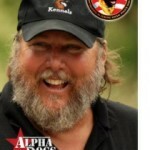 Andy taught thousands of handlers all over the US and its territories. Andy has served on the editorial advisory board for Police K-9 Magazine and created HITS, the training conference known for its breadth of diversified K9 training lectures. Andy was a co-author of the book “Canines in the Courtroom” used by handlers, trainers, and supervisors as reference material for training courses. Andy’s expert opinions on drug dogs and recordkeeping will surely help bring the entire law enforcement K9 industry to a higher level of clarity. His countless court appearances and proven skills as an expert witness on the stand are clear testimony to the effectiveness of proper K9 recordkeeping as a means to establishing K9 reliability. As a K9 trainer and handler with the Broward County Sheriff’s Office in Florida, Andy continues to educate others through his direct oversight of the training. Shay (Shy) Maimoni is the Owner and Head trainer of Israeli Special Tactics K9. He is also the founder of WooF Dogs “We Speak your Dog’s Language”. He lectures around the world on Dog’s Language which he learns by doing hundreds of hours of research & observation. 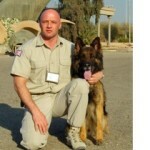 He has over 20 years of K9 training experience and is a former Israeli Defense Forces K9 Trainer. Shay began his career with the Israeli Defense Forces and train with their Counter-Terrorism K9 Units. These units which have been in constant combat for the last 60 years use muzzle fighting as a tool to build a well-rounded dog that will thrive in any situation. Jeremy Anderson is a Sergeant with the Royal Canadian Mounted Police currently serving as a Trainer at the national Police Dog Service Training Center. With nearly 20 years of law enforcement experience, he began imprinting puppies for the Police Dog Service while still in Patrol. Subsequently, he became a handler and worked two consecutive multipurpose dogs. He is presently one of five Trainers responsible for instructing handlers from all across Canada in tracking, criminal apprehension, searching, detection, and obedience. He was recently selected to deploy out of country and train several international agencies specifically in fentanyl detection. This training has resulted in their unprecedented operational success in the war on fentanyl. As a seasoned veteran of 25 years with the Arizona Department of Corrections, Steve Lowe has spent the past 17 years of his career mastering his K-9 skills. Steve is a nationally recognized K-9 trainer and certifying official with the NPCA and is the past President of the Arizona Law Enforcement Canine Association. Steve’s expertise in K-9 training has been diversified into various K-9 disciplines, including narcotics, explosives, currency, weapons and cell phone detection. Steve has been instrumental in assisting Correctional programs that incorporate service dogs into strike and tactical teams for patrol, handler protection and cell extractions. Mary Davis began her career in law enforcement in December of 1986. She is the head trainer for the Montgomery County MD Police Canine Unit with a 20 patrol dog compliment. Mary has handled 5 patrol/narcotics dogs during her 22 years in K9. She holds a Level II Trainer certification and has served as an evaluator for patrol, tracking, and detector teams.